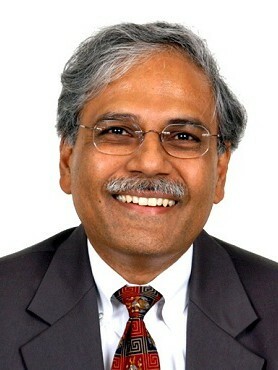 Dr Shekhar Shah is the director general of NCAER, India’s oldest and largest independent, economic policy research institute, working closely with union government ministries, state governments, and specialized public agencies, private industry, multilateral and bilateral organisations, and national and international research funders. Prior to joining NCAER, Dr Shah was the World Bank’s Regional Economic Adviser for South Asia and held various senior positions at the Bank in Washington DC in a career spanning over two decades. He joined the Bank as its Deputy Research Administrator in 1989. Dr Shah worked earlier in the financial services industry in Washington D.C. and just prior to joining the Bank, was the Ford Foundation’s Program Officer for International Economics for South Asia. At the Bank, he was a principal author of the influential 2004 World Development Report, Making Services Work for Poor People. He has published and lectured widely on issues relating to service delivery, governance, poverty, international trade and investment, social policy, aid, and monitoring and evaluation. He received his PhD in Economics from Columbia University and his BA in Economics from Delhi University. ‘’How will India be a part of the Asian Century?’’ East Asia Forum Quarterly 5(2): 38, April-June 2013. “The Politics of Partial Decentralization,” in Does Decentralization Enhance Service Delivery and Poverty Reduction? E. Ahmad and G. Brosio (eds. ), Cheltenham: Edward-Elgar, 2009 (with S. Devarajan, S. Khemani). Making Results Count: A Strategy for World Bank M&E Work on India, Washington, DC: The World Bank, 2009. Can South Asia End Poverty in a Generation? 2006 Flagship Report of the South Asia Region, Washington DC: World Bank 2006, (with S. Devarajan). World Development Report 2004, « Making Services Work for Poor People, » Washington DC: World Bank 2003. La jeunesse, ressource rare du futur ? Créées en 2001 par le Cercle des économistes, les Rencontres Économiques d’Aix-en-Provence sont devenues un rendez-vous de réflexion et de débat incontournable du monde économique.